Although the deadly Camp Fire was recently declared 100% contained and under control, the members of the devastated communities ravaged by the blaze have the monumental task of rebuilding, and paying for it, ahead of them. Still, glimmers of hope in the form of help from neighbors far and near continue to bless the lives of those affected by the fires. It’s impossible to imagine what goes into the recovery process for the average person, having to sift through the rubble of your home, your workplace, replacing what you can and mourning for what, or who, you can’t. The residents of California towns like Paradise are a long way from returning to life as they knew it before the wildfires, but they are not forgotten, especially not by Bob Wilson, an executive living in San Diego who donated over $1.1 million to the students and staff of Paradise High School. “They weren’t going to the prom. 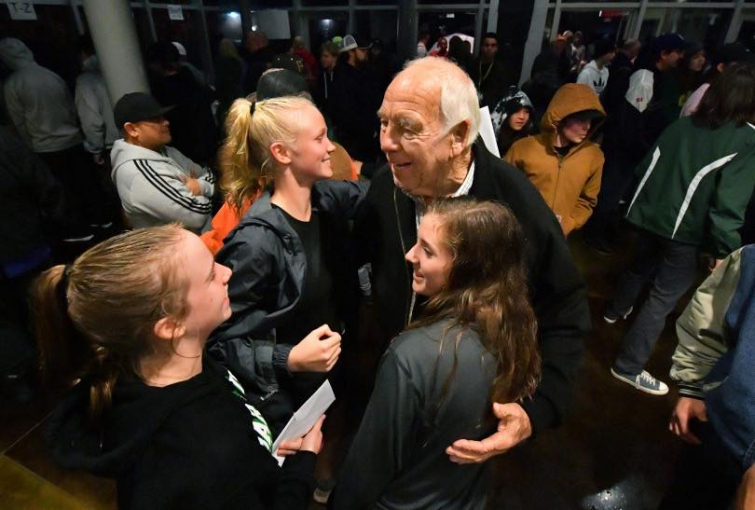 They weren’t going to be able to hang out with their friends or whatever they were supposed to be doing, and I said, ‘I’m going to help them,’” Wilson said of his gift of $1,000 to each of the 980 students and 105 staff members of PHS. “I’m really appreciative because we can put it towards moving on,” one student named Arianna Harris shared with CBS13 Sacramento. “We hit bottom so we can only progress and get better." While $1,000 may not solve every problem for every person in the aftermath of such a destructive fire, it’s a greatly appreciated leg-up to put toward resources or relocation. “I decided to put it toward rent. Like getting a new house,” Harris added. As for what Wilson expects to get from his generous gesture, he said, “If they take away from this, ‘some guy 600 miles away thought enough to come up here and give them a check,’ that’s all the compensation I want out of it." “If they see this and decide, ‘hey I can do something,’” Wilson added, “Gee, what a great thing that would be." “It’s incredible to think that someone could be so kindhearted,” said James Clery, an 11th grader at PHS. “I do hope that that man knows that I’m very thankful,” Harris said. How amazing! If you’d like to join the ranks of Bob Wilson and the many others who are helping the Camp Fire survivors from any distance and in any amount, check out these boots-on-the-ground relief organizations.